Should I implement my visualization with P5.js, D3, Node.js, or Three.js with WebGL? Gah! 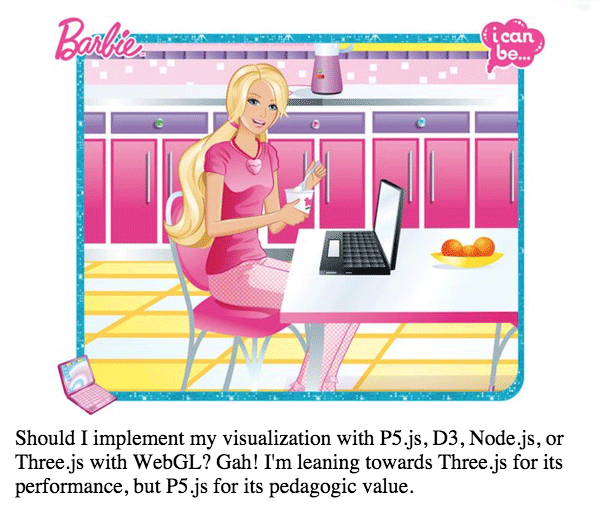 I'm leaning towards Three.js for its performance, but P5.js for its pedagogic value.